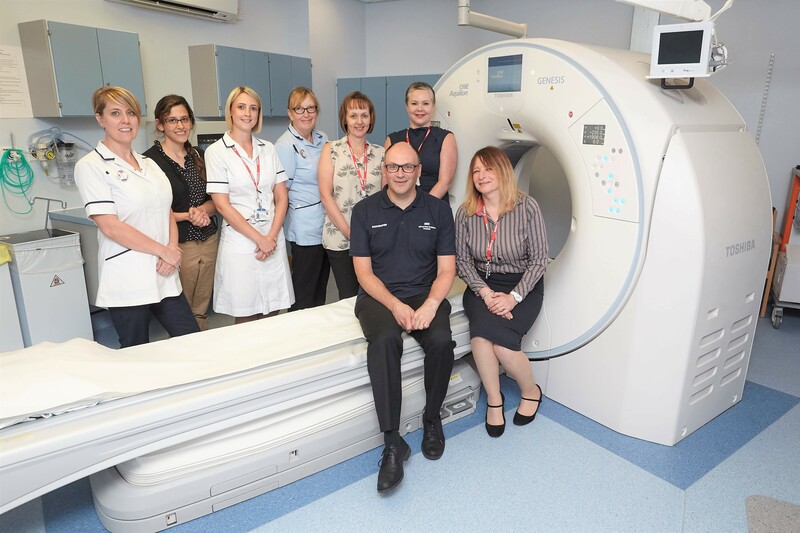 Castle Hill Hospital, part of Hull and East Yorkshire NHS Trust, recently replaced a ten-year old 40-slice CT system with a Canon Medical Systems Aquilion ONE GENESIS Edition scanner. The new system is the second Canon CT scanner to be installed at Castle Hill Hospital. The first system, an Aquilion PRIME, installed in 2017, was delivered with cardiac software and replaced an aged 16-slice system. Aquilion ONE GENESIS Edition transforms routine imaging to new levels of image detail and low contrast resolution, balanced for each clinical question at the right dose. It comes with Canon’s Dual Energy scanning including Dual Energy Composition Analysis and Dual Energy Raw Data Analysis. The system at Castle Hill includes an array of software including FIRST, the world’s first integrated solution which utilises forward projection iterations to deliver high-quality images with up to 82 percent dose reduction. A full volumetric reconstruction for routine clinical use can be obtained in just three minutes. Other features include SURE Coronary Subtraction, Variable Helical Parameter (vHP), Adaptive Motion Correction and Area Finder. Photo Caption: Shown left to right, standing: Helen Wright, Senior CT Radiographer; Dr. Nadia Jawad, Radiology Registrar; Bridie Hutchings, Senior CT Radiographer; Dawn Latham, CISW; Nicola Webster, CT Speciality Manager; and Ruth Rowe, Account Manager, Canon Medical Systems. Seated on the left, Andrew Stephens, CT Section Manager, and on the right Heather Dring, CT Applications Specialist, Canon Medical Systems.